Oh, Cara Delevingne… ♥ She’s a beautiful, multitalented woman, but the best quality about her is her charm. Cara is not afraid to be herself and let the world know who she is. That kind of confidence is truly inspiring. This 22-year-old is a triple threat! She started modeling in London at the age of 10 and has since entered the world of acting and singing. She’s strutted on several high-fashion runways including Burberry, been featured on endless magazine covers, and graced us by being the face of several fashion campaigns. Recently, she’s impressed film goers with her phenomenal acting skills in Paper Towns. Her singing career has been the most mild, but still fantastic enough to get her singing side-by-side with Pharrell Williams. All of this set aside, let’s focus on her best quality: her personality. If you peek at her Instagram account, you’ll notice it’s a bit…wacky! She shows the world that she loves being “weird” and ultimately only wants to have fun and be happy. Qualities of a true Queen! 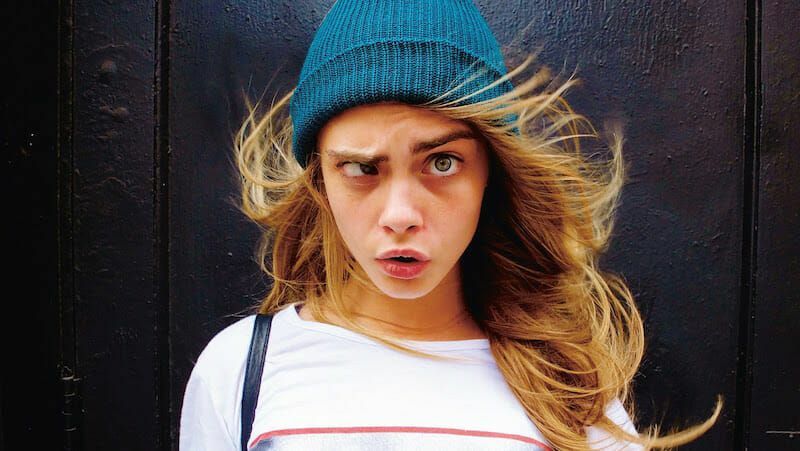 What do you think about Cara Delevingne? Would you say she is a great role model? Let us know in the comments below!